UB, 18 OCT 2018: ACS on Campus, free seminar on #SciComm, publishing tips, and career talks with M. Rosa Palacín and more! 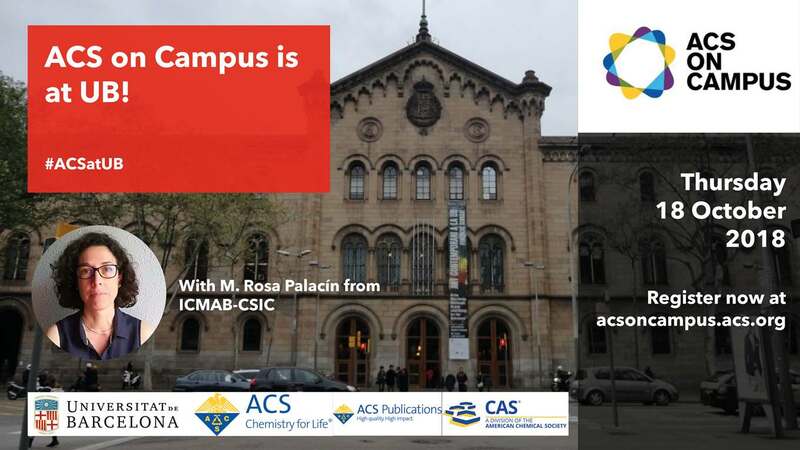 ACS on Campus is excited to be at the Universitat de Barcelona on October 18, 2018, for an exciting day around science communication, publishing tips, and career talks! You’ll learn from ACS editors and local professionals tips and tools for publishing your research and sharing it with the public. You’ll hear from Prof. M. Rosa Palacín (ICMAB-CSIC) an Associate Editor of Chemistry of Materials, Prof. Juan Bisquert (INAM) a Senior Editor of Journal of Physical Chemistry Letters, and more! The event is free and open to all students and researchers studying the sciences. Registration is highly recommended. Register here! M. Rosa Palacín studied chemistry at the Universitat Autònoma de Barcelona and received her Ph.D. in materials science for the same university. 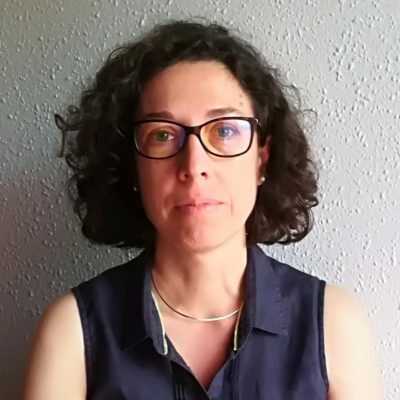 After postdoctoral research at LRCS in France under the supervision of Prof. Jean-Marie Tarascon she joined the Institut de Ciència de Materials de Barcelona belonging to CSIC, the Spanish National Research Council being part of the research staff since 1999 and deputy director since 2014. Her research career has been fully focused in rechargeable battery materials initially either nickel based or lithium based to more recently deviate to alternative chemistries such as sodium-ion and now also calcium. Specific emphasis is set in tailoring structure and microstructure of electrode materials to maximise electrochemical performance for traditional technologies and in the development of new electrolytes for emerging technologies. She has led diverse battery research projects with either public or industrial funding and is actively involved in the direction of the ALISTORE European virtual Research Institute devoted to battery research (co-director between 2010 and 2017), and boards of International Battery Association (IBA). Rosa will also participate at the ACS on Campus at the University of Sevilla on September 25, 2018! Juan Bisquert is a professor of applied physics at Universitat Jaume I de Castelló. 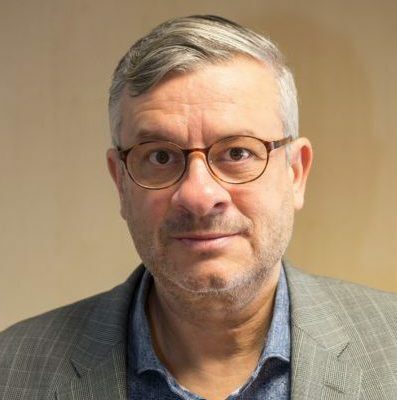 He is the director of the Institute of Advanced Materials, that develops research activity on materials, nanostructures and devices for production and efficient use of clean energies. He published 350 papers in research journals, and authored a series of books including Nanostructured Energy Devices and Physics of Solar Cells: Perovskites, Organics, and Photovoltaics Fundamentals (CRC Press). He has 27000 citations and h-index 82. He is a Senior Editor of the Journal of Physical Chemistry Letters and member of the editorial board of Energy and Environmental Science He has been distinguished list of 3000 Highly Cited Researchers from 2014 to 2017. Why attend ACS on Campus? At our events you'll get exposure to the ACS editors, networking opportunities, tips for being better writers, reviewers, and communicators, engaging discussions on the latest, technology, innovations and challenges in science, and much more!